Creating amazing documents by harnessing JSON data while focusing on core business is one of the secret goals of every organization. We want our documents and reports to be organized so it is easier to comprehend. However, it becomes challenging for organizations that hold a large amount of JSON data. There is that risk of committing minor mistakes one after the other and resulting in a major setback. Add to this the rigorous and time-squandering efforts of manually adding every single data element to the documents. ‍Fortunately,Windward is here to offer the best solution — it is so simple that even a caveman (so to speak) can create documents using JSON data with little-to-no-training in just seconds. Windward has a wide range of products that let sits users design and layout their documents, invoices, and reports in their respective MS Office applications. 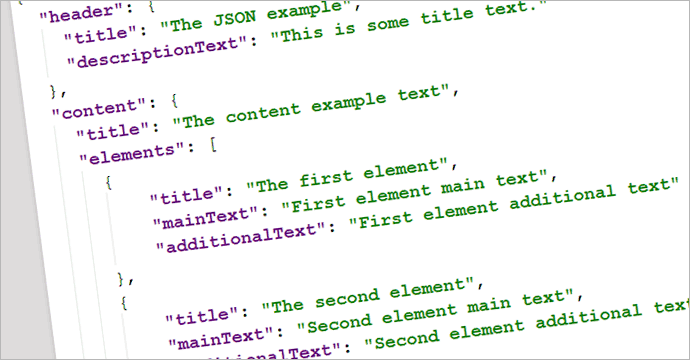 These documents can be easily populated with data from the JSON source seamlessly! Windward presents a set of robust Wizards that make JSON data queries a cinch for both expert developers and conventional users alike. You can now compose complex JPath queries to extract data using the smart JPath Wizard (even without any deep familiarity with writing in JPath in the first place). It makes writing intricate JPath selects a walk in the park. Indeed, Windward's select wizards help with template development for generic users without ever needing the support of developers. The Windward Report Designer is an intuitive plugin that can be added to MS Office applications like PowerPoint, Excel, and Word. MS Office applications have always had a rich and wide array of user-friendly features. However, not one of them enables the user to connect to JSON data seamlessly. This is the problem that the Windward Report Designer solves in an instant! After connecting your JSON files, the data will automatically be populated into your documents like forms, presentations, graphs, and spreadsheets. 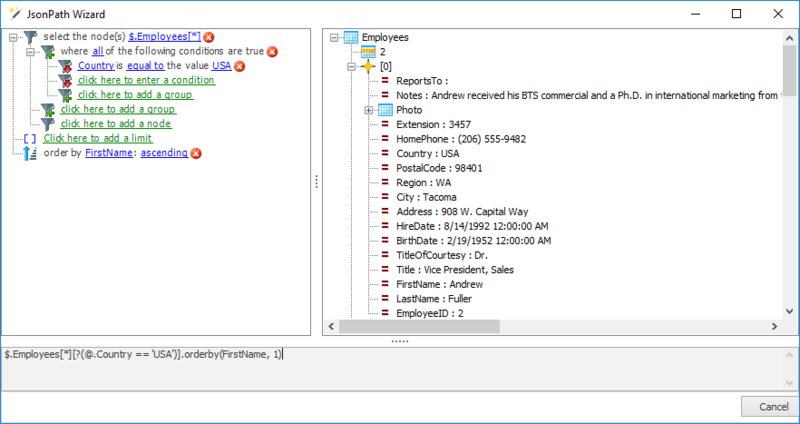 This is an awesome time-saver and you don’t need to go back to scratch and learn a new tool for designing reports using JSON data. The key takeaway — you will find it easy to maneuver through Windward Report Designer if you arewell-versed with the Microsoft Office suite (literally, no strings attached)! Windward is a software program used to generate reports and documents by integrating it into various applications. The programs and applications are designed to make reporting easier and incredibly intuitive. This literally means no more extensive hours of copy and pasting and formatting! Free-Form Design Control: The Office Edition of Windward’s Report Designer can be fully-integrated to MS Office programs. It enables users to have more options for formatting and layout reports (not found in most programs). Easy to Install: You can experience Windward’s best features by simply integrating the embedded code in literally almost any application! Quality Output: Windward generates visually-appealing reports that are sourced from data files. This is helpful if you are managing huge data. You get to save a lot of time. In just a few clicks, you can have everything in your JSON data imported to your report without a hitch. You can generate high-volume reports in just 1/10th of the time using Windward. If you are looking for a simple and smart way to generate reports using JSON data,your best bet would be using the reporting solutions provided by Windward. It is intuitive and can be fully integrated with any application so you do not have to go through the hassle of learning a new tool or manually doing the task altogether.